Students work hard every day to be the best they can be! 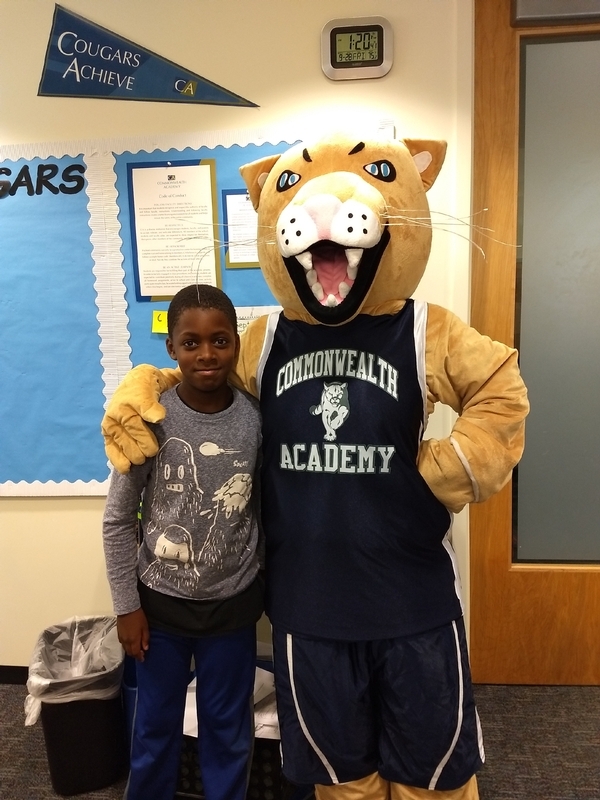 C/A encourages positive behavior with student recognition. 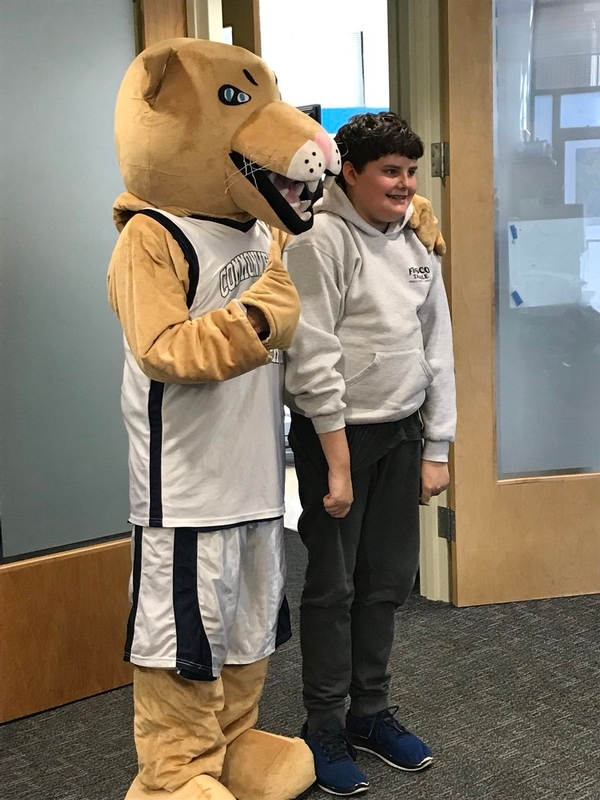 Caring Cougar of the Month: When a student performs a positive behavior for themselves or for the community that goes beyond expectations, a teacher will give them a Golden Cougar Paw print to hang up on the “Caring Cougar” bulletin board. The names of students who have Cougar Paw prints are put in a basket at the end of every month. 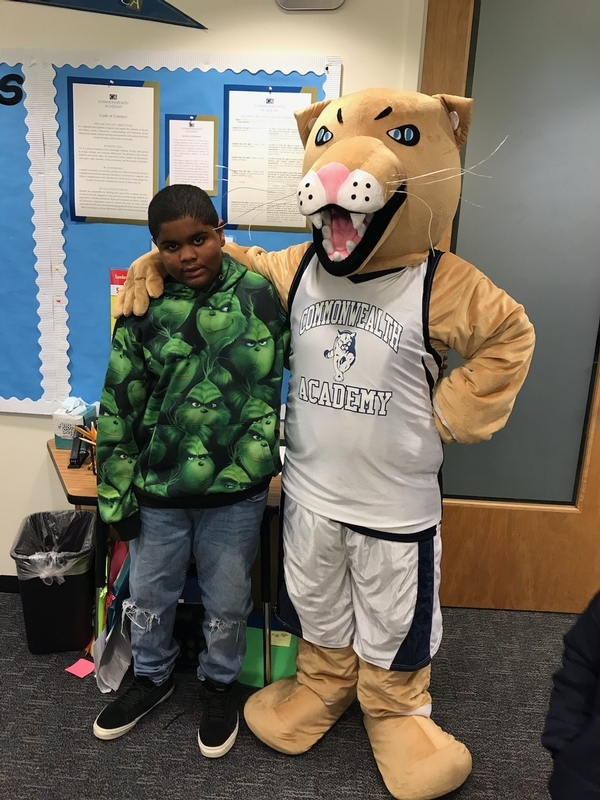 The student whose name is drawn becomes the Student of the Month, receives a certificate and has their picture taken with the Cougar. Their picture is displayed in the Lower School to encourage others to continue being positive leaders and community members. Afterward, the photo is framed and given to the student to take home as a keepsake. Students of Praise: Each week, teachers nominate Students of Praise. 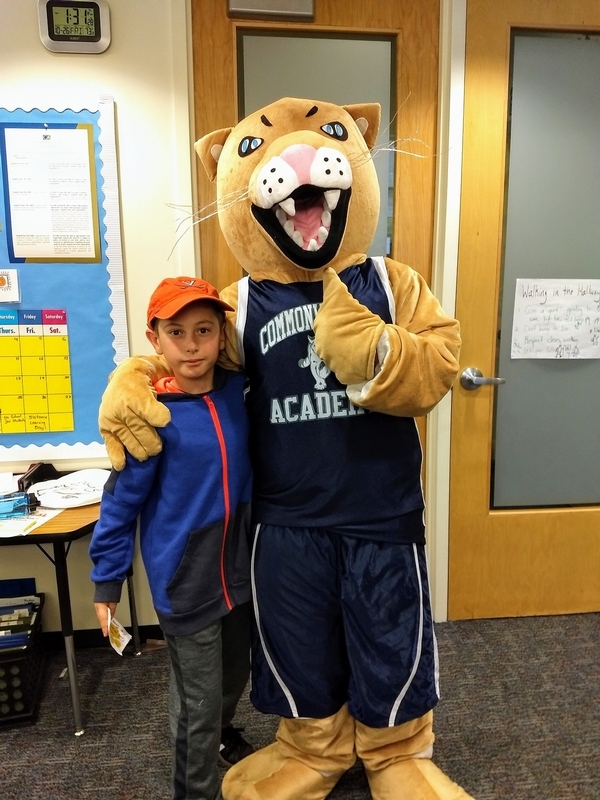 These students demonstrated throughout the prior week that they truly embodied the seven values and character traits of a positive C/A Cougar: kindness, respect, citizenship, responsibility, successful learning, a growth mindset, and trustworthiness. Students of Praise receive a handwritten note to share with their parents. 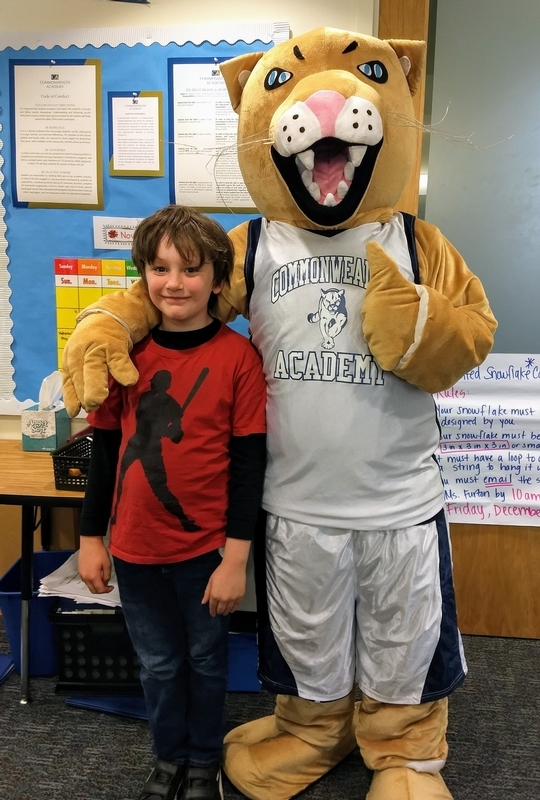 Their photos are displayed on the Student Spotlight bulletin board to encourage classmates to embody C/A's seven values and character traits.